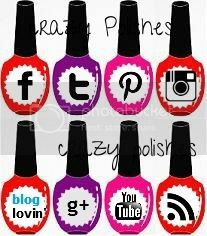 Crazy Polishes - nail arts, swatches, reviews Crazy Polishes: Giveaway Time !!! I am little late in posting this here. 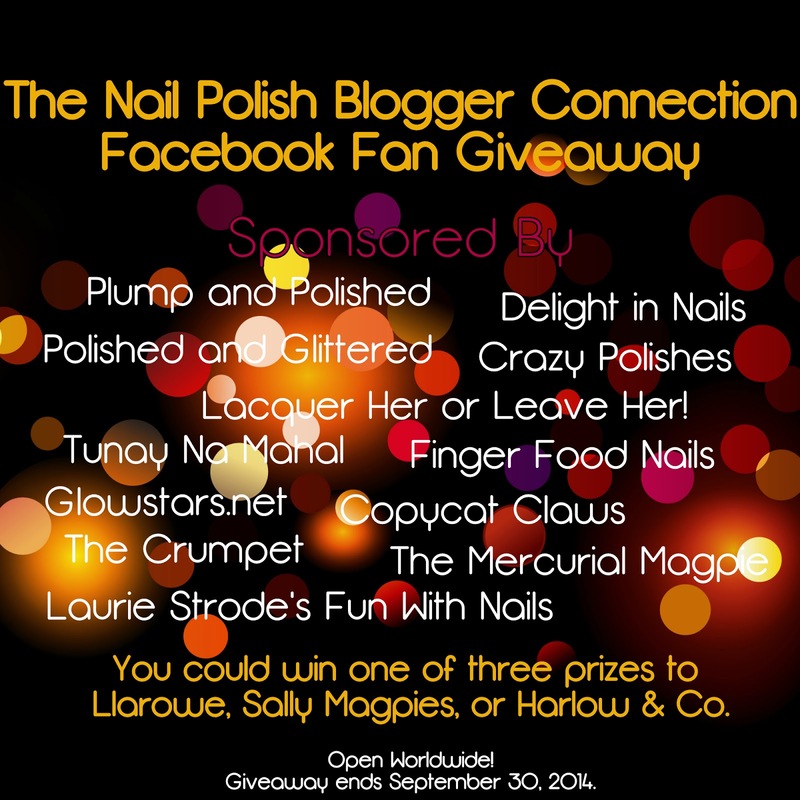 This is a collaboration giveaway with my friends from The Nail Polish Blogger Connection. This giveaway is open Internationally and will be running till 30th September. The prizes are Gift Certificates worth $40, $40 and $30 to Llarowe, Sally Magpies and Harlow And Co. Enter below in rafflecopter widget, to win.